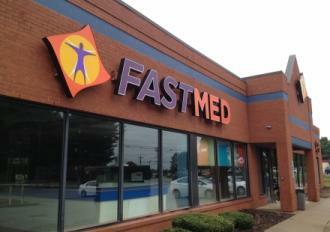 For Quality Urgent Care, Leland (Wilmington) Residents Can Rely on FastMed | Opening Soon! Leland and Wilmington, North Carolina are beautiful cities on the coast with much to offer residents. The most notable elements of these cities are the amazing beaches. In Wilmington, you can find natural beauty, unique shops and boutiques, fresh local foods, lively bars and restaurants, and an overall appreciation for living life well. One more thing residents have to look forward to is a brand new FastMed Urgent Care. Wilmington and Leland residents are soon to experience the care, convenience and friendliness our staff and clinics have to offer. At FastMed, we’re committed to providing you with the highest quality urgent care for non-life-threatening illnesses and injuries as well as appointments for medical services like exams, physicals, vaccines, and health education. You should never have to compromise when it comes to urgent care. An urgent care clinic offers a more convenient and affordable alternative to waiting in an emergency room for hours on end. And if you need a diagnosis or treatment fast, an urgent care clinic can often see you before you could get an appointment with your regular health care provider. With convenience, affordability, and quick access to medical services, there’s really no reason not to give urgent care a chance. Wilmington and Leland residents will soon be able to rely on FastMed Urgent Care for a variety of medical services. This clinic will be open 365 days a year, including all major holidays. And we’ll have extended hours on weekdays. Come in before or after work or school or over the weekend to get the care and attention you need. In addition to urgent care, the Wilmington/Leland clinic will also provide physicals for school, sports, or camp, vaccinations and immunizations, lab tests, IV treatments, evaluations for allergies, asthma, acne, other types of health problems, and more. For the best in urgent care, residents can trust FastMed. To learn more about FastMed clinics, including our services, staff, and payment options, view our FAQs.